The DJs at Jazzistry’s great, long term partner are kicking out blues and jazz almost 24/7. They are one of a handful of radio stations still doing this.The public radio station at Eastern Michigan University, WEMU/ 89.1 FM, is a local treasure devoted to traditional and cutting edge Jazz and Blues. It can be web streamed ANYWHERE in the Universe! Good resource on musical aspects of Jazz including music theory, specific instruments, musician education, and other connections. A rich site that includes many oral histories with jazz greats, activities, lesson plans They are also home of the annual JAM Celebration—Jazz Appreciation Month, April. Free posters and other resources available. 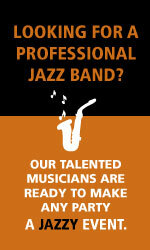 National Endowments for the Arts web-based curriculum and DVD took kit that explores jazz. Great companion for Jazzistry—both before and after the LIVE Band comes to visit! Jazz at Lincoln Center, a non-profit organization dedicated to inspiring and growing audiences for jazz. A companion Web site to the production by acclaimed filmmaker Ken Burns, JAZZ celebrates America’s greatest original art form. A rich national repository of documentary films about American Roots culture, including the tapes of Alan Lomax, the great ethnomusicologist of the early 20th century. Documents many of the contributions to American culture of ethnic and regional groups. There are video and audio clips, transcriptions, teaching ideas and suggested reading. The American Memory Collections include visual, audio and photographic collections. The African American Music of the 19th Century collection includes on line copies of sheet music, oral histories and artwork. Free standards-based teaching materials for use in and out of the classroom. Many useful resources and teaching ideas in the broad and deep realm of multicultural education. NAME spans the spectrum of education from preschools through graduate schools. Resources for teaching about race and racism in American history multicultural content. An active listserv is another great teacher resource. This rich collection includes oral histories, recorded music, photographs and film, sheet music and other materials. We were thrilled to learn bout this website from the research done by a student. The site provides a concise description of many of the ways that the 1920’s mark the jump to the modern era. Thanks, Mia! 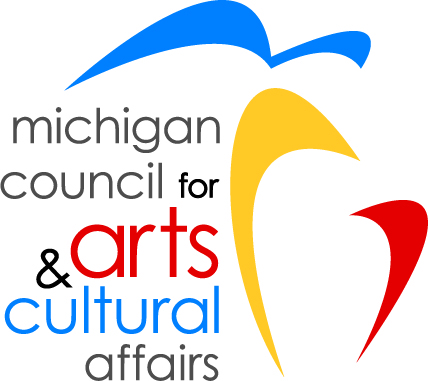 Collections include Archives of African American Music, the Latin American Music Center, the Hoagy Carmichael Papers and other extensive historic American primary sources and extensive books and manuscripts. Some sections of the collection are available on line. Photographs, audio samples, sheet music, film, and historical resources of the town where jazz began. Louisiana’s traditional culture as seen in essays, books, audio and video clips and biographies. Everything Louis Armstrong, this site includes many features related to the history and present day musical life of Louisiana. One of its richest sections includes photos, interviews, film and audio clips, quotes and tributes to Louis Armstrong. New York Public Library’s Schomburg Collection of African American historical materials is now largely on line. It includes extensive manuscripts, visual and audio resources tracing the lives and contributions of African Americans through out American History.